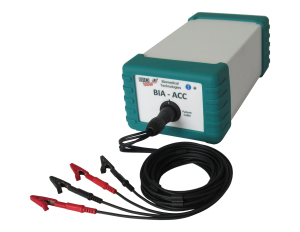 The device BIA-ACC is designed to simplify the evaluation, the analysis and monitoring of body composition in its quantitative, qualitative and functional aspects, using a multi-frequency bioelectrical impedance technology which can maximize the efficiency of the measurements even when applied to patients suffering from a chronic inflammatory disorder or stress related disorder. 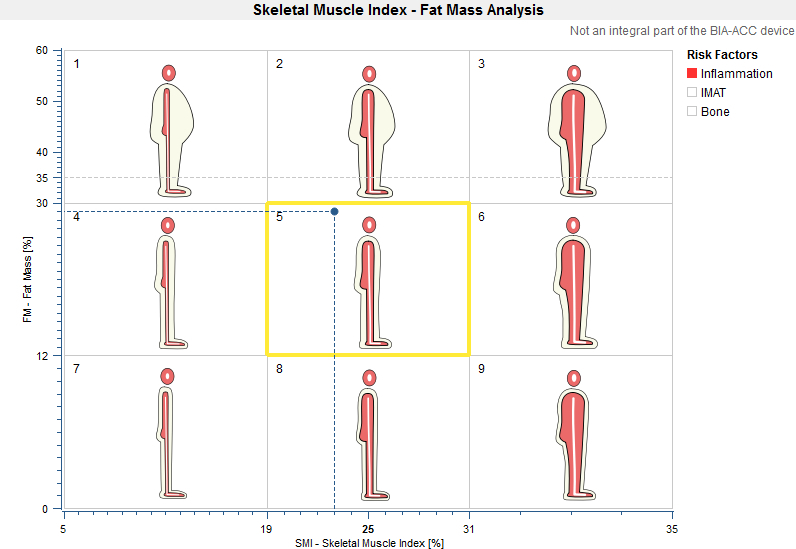 Suitable for the use in any clinical context, it is a non-invasive diagnostic tool to detect in a precise, fast and repeatable way a large set of parameters related to the body structure of the patient, pointing out the evolution during the recovery process of the psychophysical performance. Differential diagnosis of vague and aspecific symptoms (MUS, Medically Unexplained Symptoms). 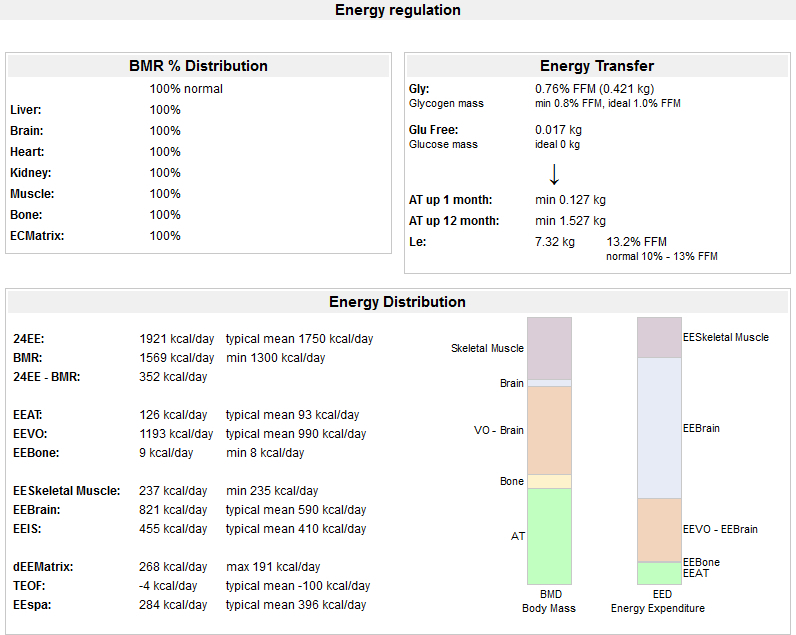 BMR, Basal Metabolic Rate: energy expenditure under physical and mental maximum rest and fasting for twelve hours. 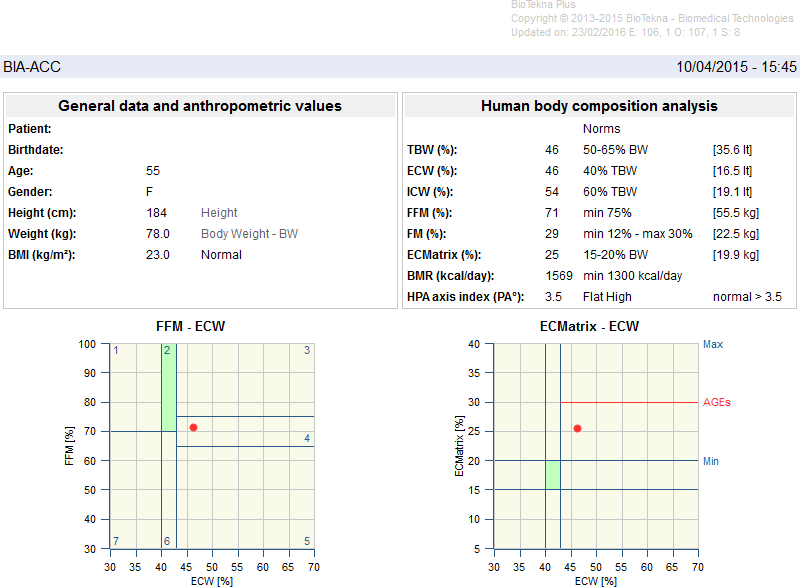 HPA Axis Index: circadian trend index of the expression of stress hormones. 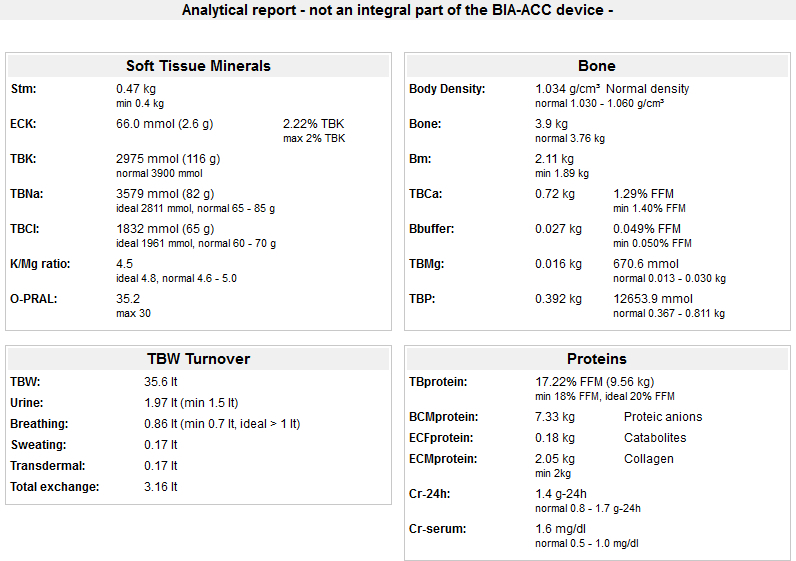 The BIA-ACC device can be used in combination with some other advanced applications available on BioTekna Plus, integrated platform, which allow to expand the device capabilities, both in relation to the analysis of the body composition evolution, and in relation to the nutritional and physical activity strategy for the improvement of mental and physical performance.